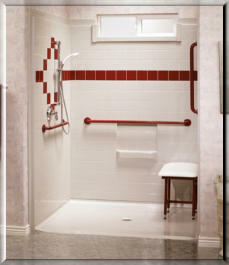 At CARE, we install a wide variety of barrier free showers with numerous feature and sizing options. 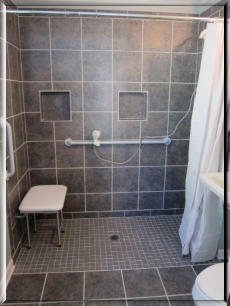 We can change your existing bathtub or shower area into a sleek “barrier free” shower for the easiest of access. With no bottom ledge, you can step or roll into your new shower with ease. Complete with accessories such as grab bars, a hand-held shower sprayer mounted within easy reach and a folding bench, safety and comfort are assured.